Online marketers routinely use short URLs in promotional campaigns. Ads are the obvious location, but short links also find utility in social media, videos, text messages, business cards, articles and landing pages. There are many services to change long web addresses into a simple, manageable link. Most are free and include a variety of additional features. One thing they all have in common is a generic shortening domain (such as goo.gl, bit.ly, tinyurl.com, x.co, ow.ly and others). A generic shortening domain is general, nonspecific and all inclusive. Links can be created and shared by anyone. Since these generic domains and shortening services are well known, click through rates can be higher in some instances, simply due to user familiarity. So when dealing with marketing tasks, its certainly natural to turn to your favorite URL shortener without giving it a second thought. But digital and security experts caution social promoters and others to be careful of, or even avoid generic URL shorteners. Some negative factors are always looming in the background that can potentially sink your marketing campaigns. Be aware of the down side. Generic short links always involve some degree of mystery. The biggest unknown factors are: the real source and the final destination of the link. After all, anyone can anonymously create and share a generic link, and unfortunately abuse rates are high. Spam, phish, malware and offensive content is too often masked behind the short characters of these URLs. Many visitors are now keenly aware of the risks and are reluctant to blindly click through. All generic URL shortening services are highly prone to abuse by other users, resulting in blocking or blacklisting (usually temporarily) by the involved email services and internet providers. The important point here is that blockage is not restricted to specific URLs. It is a blockage of the root shortening domain – which means your innocent marketing link as well. This is a clear example of generic URL use backfiring due to no fault of your own. If email marketing is a significant part of your campaigns, be sure to anticipate lower delivery rates if generics are used. According to a study by Megalytic, generic domain short links can lead to under-reporting of social media traffic in Google Analytics. Google Analytics reports the incoming Twitter traffic obtained through generic shortening domain as direct traffic. In fact, “relying on URL shorteners to aid the social management process can ultimately hurt social media in an organization and downplay its value by eliminating important social traffic data in Google Analytics. If your boss or client sees skewed results – fewer sessions and conversions from social media than should be attributed — it may be decided that social media is something he or she no longer wishes to continue,” noted this study. When you share a link that includes your own custom domain, you are branding your business and your name through that URL. Repetition of the custom domain in short URLs reinforces awareness of your brand. Reputation and brand is the gateway of audience engagement and clears the way for your content, ensuring your products and service offerings are seen in the best light and marketing opportunities are maximized. 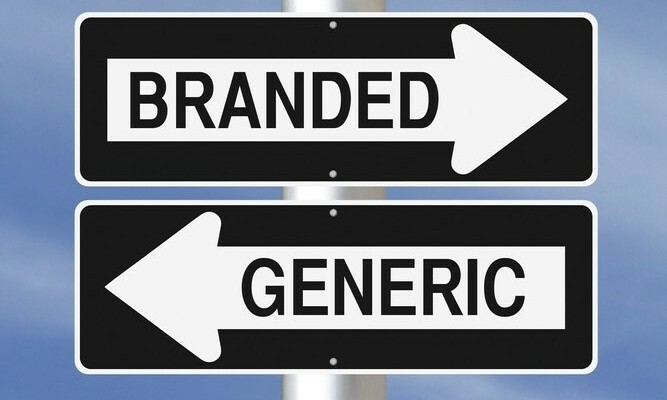 Links using branded domains indicate the originating source, while generic domains say nothing about the creator of the link. A branded domain is private, exclusive. and can only be accessed by a single user or single organization. This means all name association goes to the brand of the single organization. The domain is the first thing that catches the end user’s eye. Reading from left to right, users tend to remember the root domain (amzn.to, es.pn, hg.tv, pep.si). A domain indirectly tells users a lot about the link. Source is the first thing. Users know it can’t be spam because the general public has no access to making links on a private domain. This is where branded domain’s single source transparency and trust enters into the picture. Links in your social shares can be used to track and measure your branding performance and interest in those specific shares across all of your marketing initiatives. A branded short domain can increase CTR by 40% as compared to a short generic domain. One other consideration is public abuse of generic URL shorteners. Just as in sharing generic short links through email, sharing generic short links through social media can similarly be a domain blacklist mine field. The only question with generics is timing. Will links be blocked, through no fault of your own, in the middle of that critical marketing campaign? Branded Short URLs make the most of your marketing or promotional efforts. You want people to remember your company link and not the generic ones.